I have 10 years of sysadmin (System Administration) experience with knowledge of many server operating systems, networking equipment and technical standards. I work on Big Data platforms utilized by Fortune 50 customers such as Ford, GM, FCA and VW. One of my clients has a popular web comic of which, has had two books make it to the New York Times Best Sellers Top 10 List. 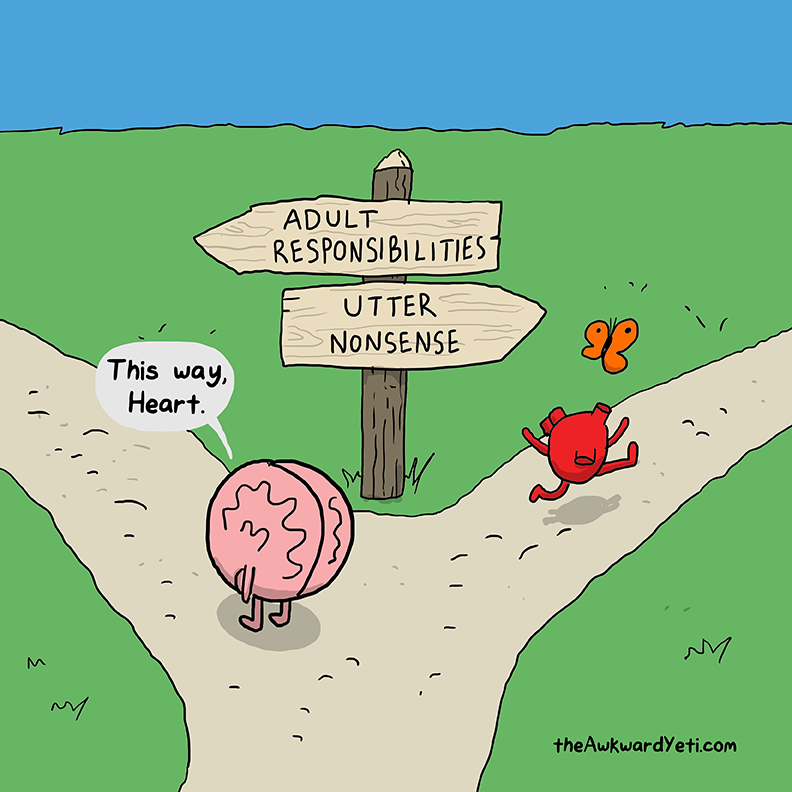 Perhaps you’ve heard of theawkwardyeti.com or ‘Heart and Brain’? I have also worked at a hosting company who won ‘Web Host of the Year’ for 7 years at Xbiz. You want to talk about working on systems that are prone to direct security attacks! I’ve had plenty of experience keeping the platforms up to speed and the data that resides on them safe. I’m a firm believer in utilizing Open Source as we couldn’t have today’s technical advances without it. I started throwing a small portion of my sysadmin toolset on my github page – https://github.com/mattmarich/scripts. Feel free to clone my repo and if you want to collaborate, please submit a pull-request! Have some sites on GoDaddy or Network Solutions that are anything but fast? We could get your sites moved over and during that time we can start to optimize your site for performance. Once your sites are moved over, we can discuss 24/7 support and other options that are tailored to your specific needs. All systems have problems over time. With a diverse background of various Operating Systems and Networking equipment I can get either your platform or servers running smoothly. Automation? Of course we can implement automation for your use case, lets get started! We could deploy an entire SIEM (Security Information and Event Management) solution for managing hundreds or even thousands of systems with active security blocks. We could also run a vulnerability scan on your network to find holes and patch them. Lets discuss how we can keep your data safe. Matt has been an exceptional, hands-on host for my site. Very little downtime and any issues are resolved almost immediately. Whenever I have a request or question he is quick to get back and goes above and beyond to make sure things run smoothly. Matthew is very knowledgable and a pleasure to work with. He is able to perform tasks and explain how to use new and updated programs to people with little or no experience. I recommend Matt to anyone needing IT assistance. Kris Fink, Executive Assistant at Rich Industries, Inc.
Matthew is an ouststanding young professional with the ability and desire to succeed. He does excellent work and is trustworthy and very reliable. Matthew will always have a place on our Nilodor team! Les Mitson, President at Nilodor, Inc. When it comes to information technology and server management, Matt is extremely knowledgeable. Matt and I have worked together for many years. He managed my dedicated servers and made himself available 24-7. When major issues arose, Matt was able to resolve these issues. He would drop what he was doing and make sure my issues were his top priority. What's most important when working with a service provider, feeling confident while knowing help / assistance is just a telephone call/text message/email away. Solomon Siegel, Siegel Web Development & Consulting Inc.
We have worked with Matt when we started our acoustics business. He is very creative and efficient in all things IT. He helped us get our systems up and running very quickly and always was helpful. If you are looking for someone to help manage your company's IT. Matt is as good as it gets.